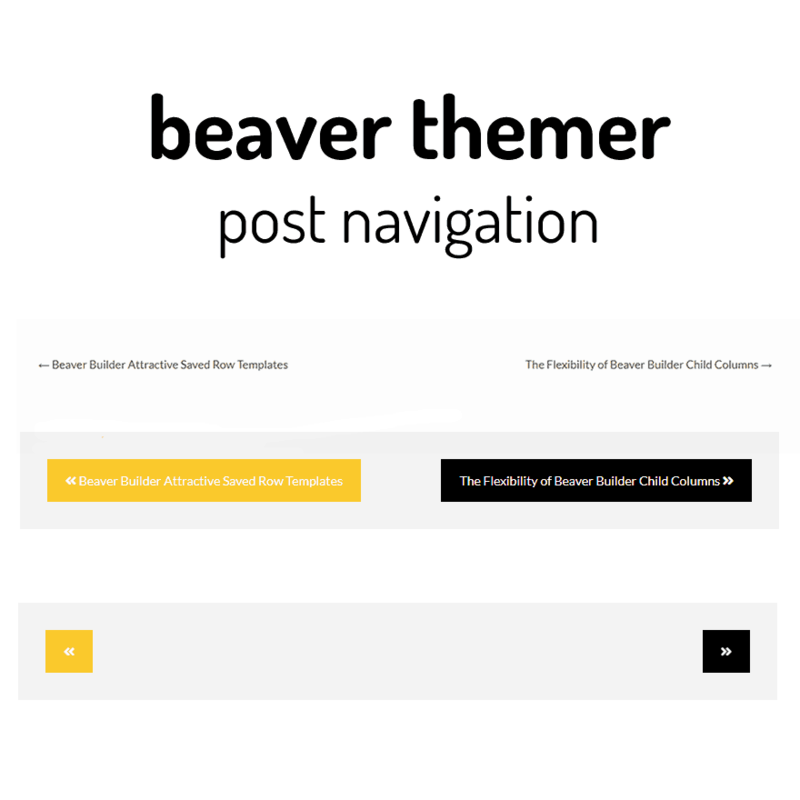 The Post Navigation Module was added to Beaver Themer 1.2 which was released at the end of August 2018. Those who use the Beaver Builder Theme will recognize it as something built in to the theme. It can be hidden or made visible via the customizer by going to: Customizing ▸ Content▸Post Layout ▸Prev/Next Post Links. With a bit of CSS and column settings it is perhap easier to add some extra styling options (For example adding directional icons and and setting link and hover colour from the page builder. Here, I am sharing the HTML and CSS I added to this site. I plan to use this as a resource for other projects. of the Post Navigation module. /* Here is the hover for "next and previous"
Hi David – I was wondering how to control the order of posts showing up. Even when you use the tags (as in your golf example, will the next/prev go from hole 1 to hole 2 to hole 3, etc or just jump about to the order in which the posts were input? That seems to be what the documentation says on the bb site. I am trying to use this with PODS, but it seems to be jumping all over instead of me being able to specify an order in which they display. Hope that makes sense! Thanks! We used this a lot, but I am not sure how it would work in this case. Is it not possible to change the publish dates and adjust that way?